Immerse the Obsiblue in cold water for a few minutes, then rinse them and drain thoroughly. Once thawed, hold the head of the Obsiblue with one hand and the body with the other hand. Pull gently to detach the head. Flip the Obsiblue to remove the shell. Dry gently. Tip: It is possible to keep the raw shelled Obsiblue in the refrigerator for 24 hours. To do this, arrange them on a plate and cover with cling film. Melt a knob of butter or olive oil, then cover the bottom of your pan with a sheet of baking paper. You will get a nice orangey pinky color and will avoid the sticking to the bottom of the pan. Sprinkle coarse salt before serving. Tip: The subtlety of the Obsiblue taste stands out better when it is half-cooked, so do not overcook. Place the Obsiblue, which are still frozen, directly into simmering water. Stop cooking when they rise to the surface. Tip: Add a squeeze of lemon and a sprig of mint into the water to gently release the seafood flavors of Obsiblue. 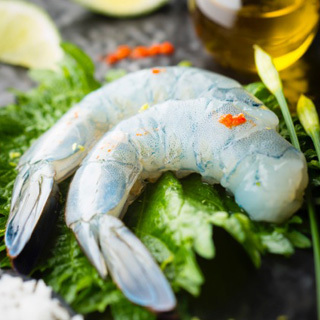 The Obsiblue is an inimitable product, an elegant crustacean with a delicate name, blue like the crystal waters of a Caledonian lagoon, perfectly sized, with a juicy and crunchy flesh, sweet and sour flavors so close to langoustines and lobsters. The Obsiblue is a healthy and natural food, an ecological product; its freshness is the same as when it has just been fished, marketed in its original state, without any transformation or intermediary, directly from the producer to the consumer. 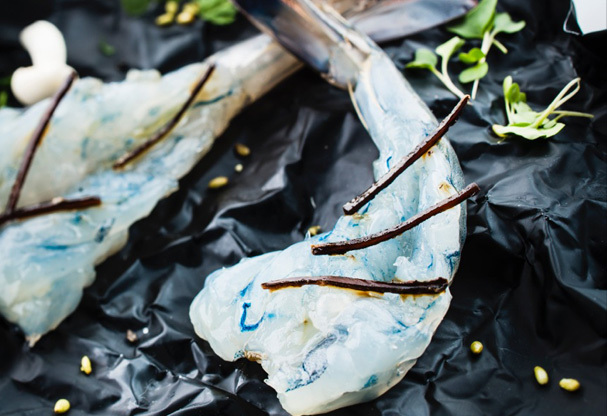 The Obsiblue is a creative product, which is both contemporary and traditional, source of culinary inspiration and complicit to unexpected preparations. Endless alliances with the basic ingredients of great Asian cooking, such as lemon grass and ginger, reveal exclusive flavors and offer a tasteful and visual emotion that are unique in the world. Eating raw food is becoming increasingly popular: sushi, tartars and other Carpaccio’s are all in fashion; it is a different way of looking at food, a way of discovering new flavors, in addition to being healthy. 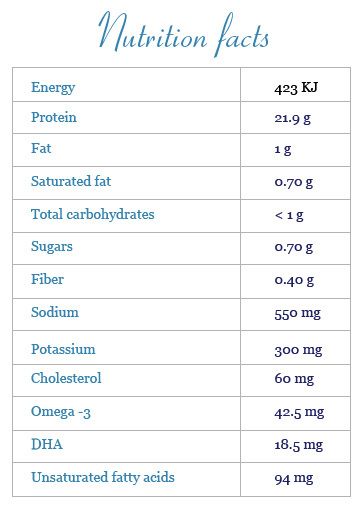 Rich in Omega3, with a subtle and balanced flavor and a creamy texture, the raw Obsiblue is indeed delicious. Without being a top chef, it is possible to create a marvelous spread with this type of preparation. 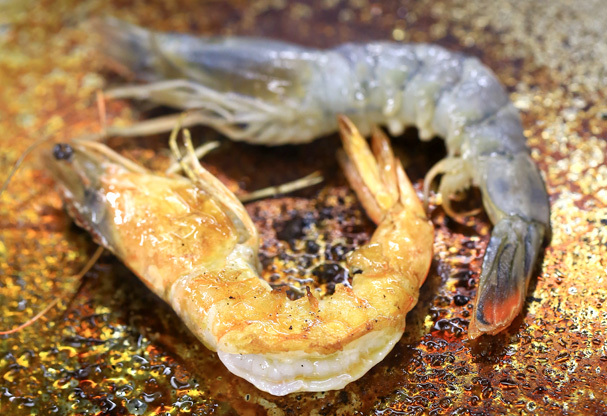 The Obsiblue is the only French shrimp recognized as a quality shrimp for “sashimi” in Japan, it has already conquered many chefs in the world. Fun, fast and easy to prepare as a tartar or a Carpaccio, the Obsiblue is also a healthy food.